Speedo goggles provide a vast array of benefits. One of the most important pieces of swim gear you must own is a good pair of swimming goggles. While there are many team swim goggles available on the market, Speedo still remains one of the biggest names in the competitive swimming industry. One of the most popular options for Speedo goggles is the Fastkin3 Elite Goggles. There are a number of reasons you should consider this option. Speedo has long been one of the top names in swimming, especially on a competitive level. This means they have extensive experience and have put a lot of effort into researching ways to help swimmers perform better. With swimming goggles from Speedo, you can trust you are getting quality with performance in mind. Being able to see clearly under the water is important to keep you on track when you’re in the middle of a race. Any deviation from your path could result in significant slowdowns in your swimming speed. The good news is the Fastkin3 Elite Goggles provide some of the best peripheral vision on the market. This gives you great visibility in the water. One of the most essential things to look for in swimming goggles is their profile. After all, swimmers need to make sure they are as streamlined as possible so they can move through the water quickly and with ease. When you choose these Speedo team swim goggles, you can feel confident they will sit close to your face to prevent more drag in the water, helping you see where you’re going easily without impeding your speed. No two people are the same size or shape, which means it can be difficult to find swimming goggles that will fit everyone. This is where the Speedo Fastskin3 Elite Goggles shine. They not only have adjustable silicone straps like most other team swim goggles, but they also feature variable nose bridges so you can find the right fit for you. 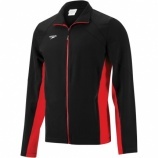 This ensures they are comfortable for a larger number of swimmers than many other options. Temperatures can vary widely and whether you swim indoors or outdoors, the amount of light you experience can also be different. The good news is these swimming goggles are designed to be anti-fog and anti-glare so you can feel confident you will be able to see clearly in all conditions. After all, the goal is to protect your eyes, not cause problems with your vision. If you’re looking for the right team swim goggles, contact us. We carry a vast selection of the best swimming goggles by Speedo, along with a number of other big names in competitive swimming. Do you know the best goggles for swimming competition? One of the most important pieces of equipment every competitive swimmer needs is the swim goggles. However, not just any goggles will do the job well. Finding the best goggles for a swimming competition will ensure a proper fit, as well as give the swimmer clear vision for better performance. The best championship goggles for 2015 will offer all the advantages and help swimmers perform at their best. These mirrored goggles are some of the best goggles for a swimming competition because they reflect light away from the eyes and offer better visibility than your typical goggles. This is particularly important when you swim outdoors. Another big name in swim gear is Arena. Their line of swim goggles offer a vast array of options and features swimmers can use to improve their performance in the pool. If you’re looking for one of the best championship goggles for 2015, the Arena Cobra Mirrored Goggles can be a great option. These goggles effectively reflect light away from the eyes and offer an amazing fit with a low profile to reduce resistance in the water. This can offer swimmers an incredible advantage so they can focus on improving technique and not whether their goggles are performing the way they were intended. 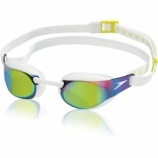 Choosing the right pair of swim goggles is essential for all competitive swimmers. While there are many options available on the market, the best goggles for a swimming competition will ensure all your hard work in the pool pays off. Whether you prefer Speedo goggles or you like the Arena goggles, you will find an array of choices that will help enhance your performance in the pool and ensure the clear visibility you require. If you’re looking for the biggest selection of the best goggles on the market, contact us. DJSports.com in Dallas offers everything swimmers need to perform their best in the water. Speedo Vanquisher 2.0 goggles can iprove your performance. The right pair of swim goggles is one of the most powerful tools to enhance your performance in the water. After all, without the best goggles for swimming, you would have a difficult time seeing where you are going in the water. One of the best options for many swimmers is the Speedo Vanquisher 2.0 goggles. These Speedo goggles are designed with competitive swimmers in mind, giving you the advantage in the water. The most important thing before buying Speedo Vanquisher 2.0 goggles is to make sure you get the right fit. First, you need to make sure the goggles fit snuggly and seal properly. One of the best ways t make sure these Speedo goggles fit well is to press the goggles to your face to see if they stay put for at least a few seconds without using the band. If you want to remain competitive, you should also choose goggles that have a low-profile design. These goggles won’t get in the way as you move through the water and will provide the visibility you require. Once you know the Speedo Vanquisher 2.0 goggles fit well, you can rest assured they are one of the best goggles for swimming, especially if you want to remain competitive. Not only do these swim goggles offer one of the most comfortable fits on the market, but they also offer 25 percent more peripheral vision than many other goggles in the same class. They also feature four interchangeable nose pieces so you can choose the perfect fit and enjoy the many advantages these swim goggles can offer, including UV protection and anti-fog properties. Finding the right goggles for you can be a daunting process when you see the number of swim goggles available. 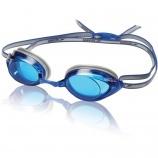 If you want to swim your best, you need the best goggles for swimming so you can perform well. The Speedo Vanquisher 2.0 goggles are available in a number of colors so you can choose the ones that provide the best visibility or that match your swimwear, giving you a uniform look every time you swim. If you’re looking for the best goggles for swimming, contact us. D&J Sports offers a vast array of products you need to stay competitive in the water. We carry everything from competitive swimwear to swim gear to training gear. The Speedo 2015 catalog has everything you need. Speedo is one of the biggest names when it comes to competitive swimwear and swim gear. From the Speedo goggles to the competition swimwear, swimmers can customize Speedo products to best suit their needs. With all of the major swim companies coming out with their new catalogs, the Speedo 2015 catalog promises to provide swimmers with a vast selection of old and new products designed for comfort and performance, in and out of the water. Whether you are shopping for a new Speedo swim bag or you need Speedo warm ups, they have amazing choices any swimmer will enjoy. Perhaps their most popular products, the customizable Speedo swimwear is an excellent choice for individual swimmers and teams for both training and competition purposes. In addition to their current line of swimwear, including Speedo lifeguard suits, they have launched a number of newer styles, created with state-of-the-art fabrics designed with a comfortable fit, ideal compression and a smooth surface to reduce resistance. For instance, the PowerFLEX material used in some of their current swimsuits is designed to resist deterioration and keep its shape five to 10 times longer than other swimsuits. In addition to their swimwear, Speedo is also known for its outstanding swim gear to help swimmers do their best and stay organized. 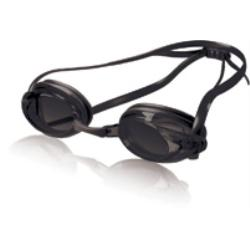 For instance, there are a variety of Speedo goggles designed to fit snugly and comfortably, while providing the clear visibility swimmers need in the water. These goggles are just the start of the vast selection of swim gear they offer. When swimmers aren’t in the water, Speedo warm ups are the perfect addition to their collection of swim gear. These warm ups keep swimmers warm to and from the pool, as well as while they are waiting in between races so they can be ready to jump in the water when it’s their turn. When all is said and done, having a quality Speedo swim bag ensures you have everything you need in one convenient place. The new Speedo 2015 catalog will prove to offer all the swimwear and gear competitive swimmers need to enhance their performance in the water and stay prepared. Their goal is to continue to offer a vast selection of quality swimming suits and accessories to give swimmers the competitive edge. If you are looking for the greatest selection of Speedo products, contact us. Our Dallas, TX, swim store has everything you need, regardless of your skill level. The Speedo Vanquisher 2.0 goggles provide fun colors for swimmers to enjoy. Swimming is a serious sport that requires a lot of hard work, training and dedication to learn to swim well so you can compete well and succeed. However, this doesn’t mean you can’t have a little fun in the water as well. While there are plenty of colors and designs available in competitive swimwear, there aren’t a lot of choices when it comes to your eyewear. The Speedo Vanquisher goggles have changed all that. Even though you won’t really notice the colors in the water, the Speedo Vanquisher goggles come in a vast array of fun colors so you can stand out from the crowd at the pool. In fact, there are 11 different colors to choose from, most of which you can’t find in any other type of goggle on the market. You can choose a color that goes well with the suit you wear the most often or just pick your favorite one. Some of the available colors in these goggles include Kelly green, maroon, pink, aquamarine, purple/teal, rainbow and Pacific blue. Everyone will be asking you where you got these great goggles. The Speedo Vanquisher goggles aren’t just pretty to look at; they also provide you with the functionality you require when you are swimming in the pool. The Vanquisher goggles feature the same seal system used on all the other Speedo goggles, keeping the water out of your eyes consistently as you swim. In addition to this tight seal, you can expect about 25 percent more visibility with these goggles, providing you with the ability to see exactly where you are going in the pool. This can be a useful asset to swimmers. The goggles also offer a low-profile design for less resistance, a double strap for comfort, interchangeable nose pieces for the best fit and UV protection and anti-fog properties. The Vanquisher goggles have long been known for their superb performance in the water. Now Speedo has released a line of these goggles that come in a vast array of fun colors that allow swimmers to express their individuality in the water. You can purchase these fun goggles to use in practice and at meets without sacrificing quality and functionality in exchange for the fun look. Choose your favorite or buy several so you can exchange them out to go with your various swimsuits. The junior line of Speedo Vanquisher goggles provide all the benefits of larger goggles with a better fit. Shopping for swim equipment for young people who are not done growing and are smaller than many professional swimmers can be difficult. However, the biggest names in swimming, such as Speedo, know that many people start young when it comes to competitive swimming. Therefore, they make goggles like the Speedo Vanquisher goggles in junior sizes to better fit the faces of younger swimmers who are just getting started. If the Speedo Vanquisher goggle is one that captures your attention, you may want to consider the Jr. Vanquisher for the young swimmer in your life. These goggles come in several different colors, including black, blue magenta and clear, so you can coordinate with a suit or pick your child’s favorite color. These goggles have a low profile for less resistance, UV protection and anti-fog for clear swimming. 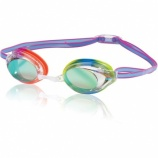 Children who need glasses to see can often have difficulty swimming with the typical Speedo Vanquisher goggles. However, if you know your child has vision problems. The Jr. Vanquisher Optical goggles come in diopters from 1.5 up to 8. Available in black or clear, your child will get the benefits of UV protection, anti-fog and mirror coating, all while being able to see the end of the pool with clear vision. The next generation in Speedo Vanquisher goggles, the Jr. Vanquisher 2.0 goggles provide your child with all the advantages of the adult version of the 2.0. These goggles have a low profile so they don’t interrupt movement through the water, as well as greater peripheral vision than many other types of goggles. These goggles provide your child with UV protection, anti-fog properties and the ability to adjust the nose clip for the greatest comfort. The Jr. Vanquisher 2.0 goggles are available in several colors, including clear, blue, pink and smoke to fit any style. Before you purchase your child just any goggles off the shelf at your local store, it is important to make sure you are getting the right goggles. The Speedo Vanquisher goggles designed for kids provide your child with all the advantages of the adult goggles in a size that will fit better. Even if your child is just starting out and you aren’t sure they will continue to swim, finding goggles that fit well will ensure they have the greatest chance of becoming a competitive swimmer in the future. Only time will tell. In the summertime it is important to take advantage of the clear skies and sunny weather. As you transition your swimming to an outdoor pool don’t forget to protect your eyes. Speedo makes a variety of mirrored lens goggles that are ideal for swimming in the sun. Mirrored lenses offer enhanced UV protection on top of the many other benefits that swimming goggles provide. Speedo Jr. Hydrospex Mirrored are a great option for kids. These goggles are some of the most comfortable on the market and feature the speed clip fit for easy use. With mirrored lenses kids can play in the pool as long as they want. Just don’t forget to have them reapply the sunscreen. There are several mirrored lens options available for adults. These include the Speedo Vanquisher 2.0 Plus and the Speedo Women’s Vanquisher. Both the Vanquisher 2.0 Plus and Women’s Vanquisher’s are available in multiple mirrored colors.